And now it's Marathi translation! Wash and dry the okra and cut the heads and tails. Slice the okra into halves. Mix the remaining ingredients together and marinate the okra for a few hours. 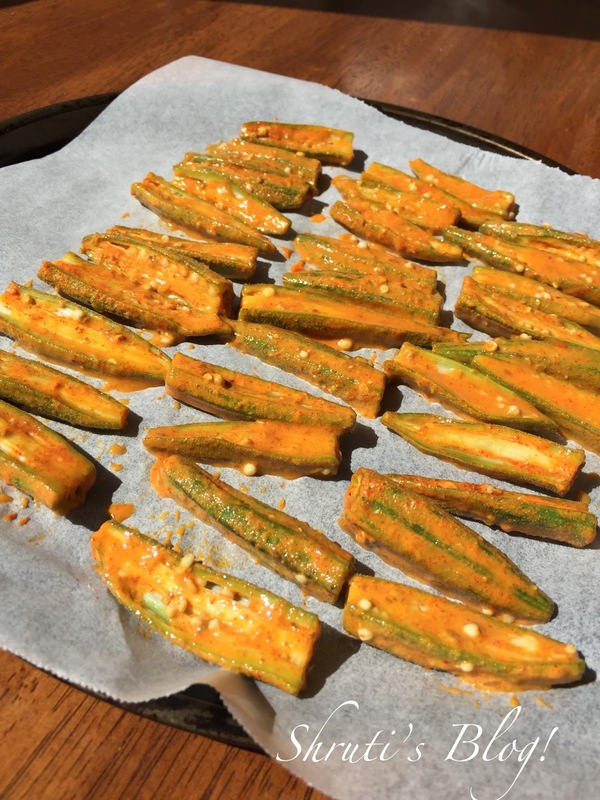 Arrange the okra halves on a baking sheet/ parchment paper lined tray and dry it out in the sun for two or three days, until fully dry. Store in an airtight container. Fry these in hot oil and serve with dal and rice. These can be stored for a few months, provided they are dried thoroughly.